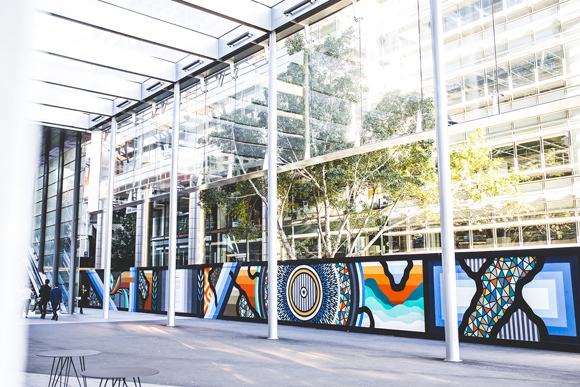 Art for the streets inspired by nature – Arts Brookfield brightens up 10 Shelley Street featuring Brad Eastman. 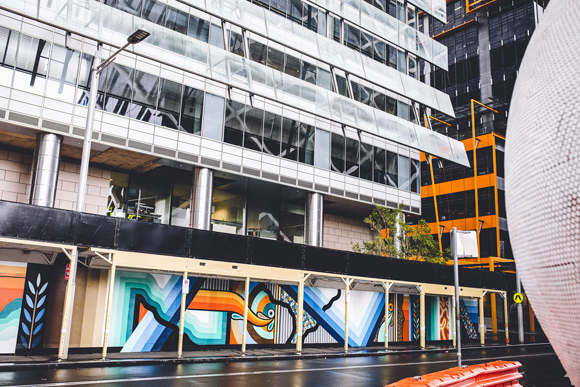 With a style that is unique, distinctive and reflective of the natural environment around us, artist Brad Eastman (aka Beastman) will add an unmissable vibrancy to the area around 10 Shelley Street in Sydney’s CBD, with a new large-scale work. 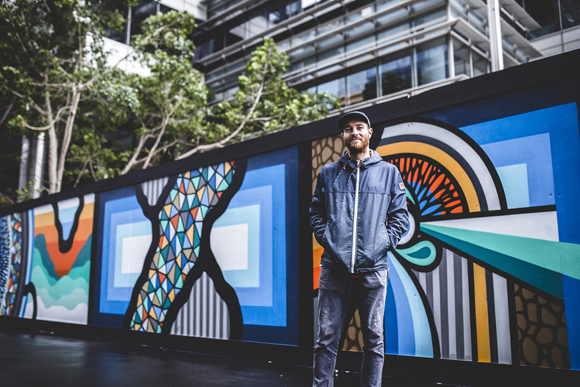 Known for his art that explores the origins of life, the organic flow of nature and its myriad intersections with humanity, Beastman is a Sydney-based contemporary artist whose work is prized and recognised around the globe. 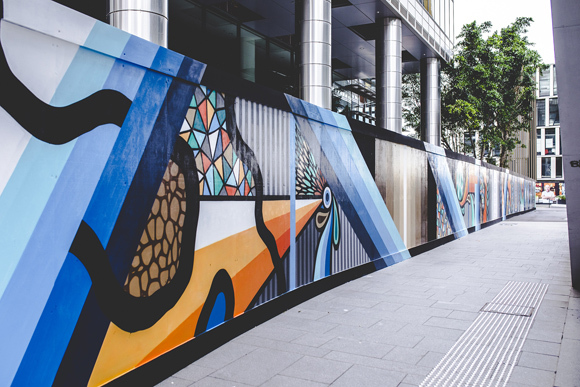 Commissioned by Arts Brookfield, Beastman will spend over a week painting a one-off mural installation that will extend a mesmerising 130-metres in length. The work will adorn the ground level hoarding of 10 Shelley Street and span around to Sussex Street. 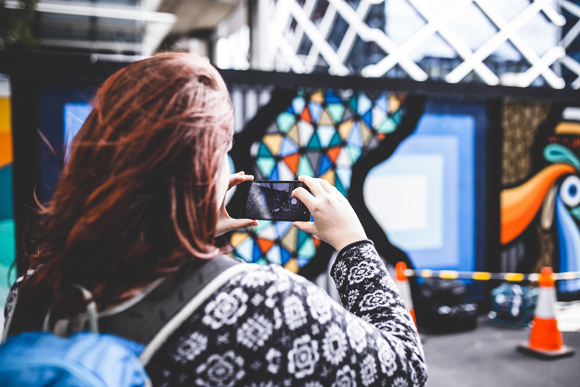 The work is full of colour, depth, movement and interaction that will ignite the creative spirit and engage a wide audience. 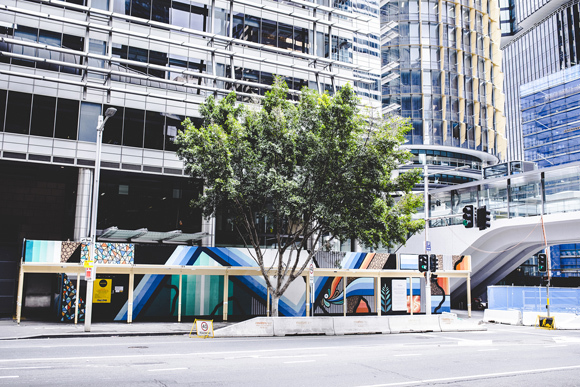 Thanks to Arts Brookfield, Beastman’s art will elevate the profile of what could otherwise be another building site under construction, instead turning it into a positive community engagement experience for workers, visitors and Sydneysiders. The mural will be completed by Friday 23 September and will be on display for approximately five months.